The Midwest’s own Electric Forest Festival received top honors in two categories at the inaugural FestX Awards ceremony held tonight at the XLIVE conference in Las Vegas. Electric Forest took home the trophy for best production design, and the “Forest Family” was named best fan community. The FestX Awards are hosted by Everfest and XLIVE to recognize the world’s best festival creators and communities. Fifty-seven festival finalists in 13 categories were selected after a month-long public voting process, and a panel of industry expert judges determined the overall winners. Other finalists in the best production design category included Bestival, Electric Zoo, Lightning in a Bottle, and Secret Garden Party. Best fan community finalists included Holy Ship’s “ShipFam,” Bonnaroo’s “Bonnaroovians,” EDC’s “Headliners,” and RuPaul DragCon. Held annually in Rothbury, Mich., Electric Forest 2018 will take place over two weekends: June 21-24 and June 28-July 1. The first round of performing artists was recently announced, and ticket and lodging packages for both weekends go on sale to the general public this Fri., Dec. 15. 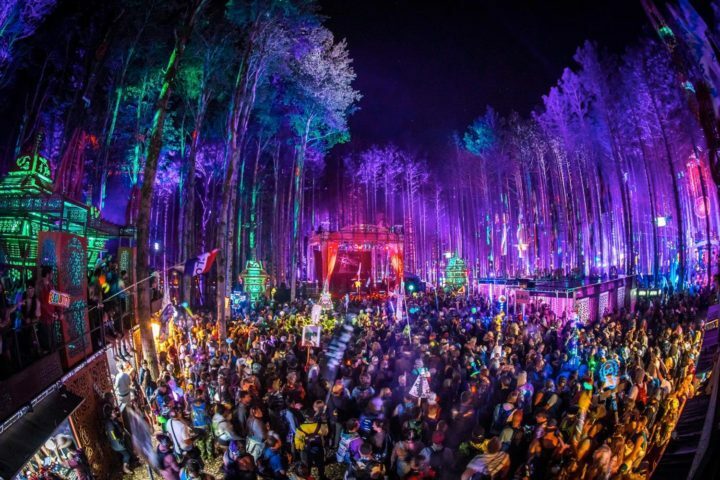 Electric Forest is produced by Madison House Presents and Insomniac Events.